These are Supertech valve stem seals for VW/Audi applications with 6MM valves. They are manufactured from high quality Viton. They will fit several VW/Audi applications using the 6MM stem valves, like the 1.8T, 2.7TT, may fit others. These are Supertech valve stem seals for VW/Audi applications with 7MM valves. They are manufactured from high quality polyacrylic, for use with the intake valves only. They will fit several VW/Audi applications using the 7MM stem valves, like the 12V VR6, 16V, may fit others. These are Supertech valve stem seals for VW/Audi applications with 6MM valves. 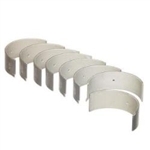 They are manufactured from high quality Viton, for use with the exhaust valves only. They will fit several VW/Audi applications using the 6MM stem valves, like the 1.8T, 2.7TT, may fit others. These are Supertech valve stem seals for VW/Audi applications with 7MM valves. They are manufactured from high quality Viton, for use with the exhaust valves only. They will fit several VW/Audi applications using the 7MM stem valves, like the 12V VR6, 16V, may fit others. These are single groove valve keepers for the 12V VR6 engine using Ferrea valves. They are required when upgrading to Ferrea valves. They are sold in pairs of 2, so 12 will be required for a full engine. If you are looking to completely rebuild your cylinder head, the valve guides should also be replaced. We are now stocking these along with hundreds of other Supertech parts to make your build much easier! These fit ALL 1.8T, and 30V V6 engines. These are sold individually, so purchase as many as you need! It is always a great idea to replace your valve guides when doing a cylinder head build. Integrated Engineering is proud to offer performance valve guides for 2.0T FSI engines. These valve guides are made in house on our CNC lathe, using a propietary bronze alloy. This alloy allows for 10% faster heat transfer, as well as better wear characteristics to make for a longer life. We have designed these with an aerodynamic tip design to cut down on airflow restrictions in the port. These valve guides are made with ultra high concentricity for exact valve placement, with precisely sized outer diameters. Sold individually (16 required for 2.0T FSI engines) It is always a great idea to replace your valve guides when doing a cylinder head build. Integrated Engineering is proud to offer performance valve guides for MK5 2.5L 5 cylinder engines. These valve guides are made in house on our CNC lathe, using a propietary bronze alloy. This alloy allows for 10% faster heat transfer, as well as better wear characteristics to make for a longer life. We have designed these with an aerodynamic tip design to cut down on airflow restrictions in the port. These valve guides are made with ultra high concentricity for exact valve placement, with precisely sized outer diameters. Sold individually (20 required for MK5 2.5L 5 cylinder engines) Lightweight lifters are a great idea for high revving applications, especially considering how heavy the OEM lifters are in the older 8V, 12V, and 16V VW engines. They will help eliminate valve float at higher RPMs. These are high quality OEM replacement parts that are a direct fit for many applications. These will go along great with new cams and valve springs. Sold individually, so purchase as many as you need! This is an OE replacement hydraulic lifter/lash adjuster for all 2.0T FSI engines. It is a good idea to replace these when you are rebuilding your cylinder head or replacing valves. Sold individually, 16 required for 2.0T FSI engines. This is an OE replacement hydraulic lifter/lash adjuster for all 2.0T FSI engines. It is a good idea to replace these when you are rebuilding your cylinder head or replacing valves. Sold individually, 20 required for 2.5L 5 cylinder engines. This is a set of OEM thrust washers for most VW 4 cylinder applications. They are made by Kolbenschmidt, an OEM German supplier. Will fit all 8V, 16V, 1.8T, and TDI from 1987-2006. Check application before purchasing. When revving your FSI engine higher than stock, you run into the problem of rocker arms falling off, and breaking spring clips. This can cause severe damage to your engine. These Ferrea lifter shims will shorten the travel distance of the lifters, and prevent the risk of breaking the rocker arms and lifters. The install in simple, by just placing them below the hydraulic lifters. A must for FSI engines revving higher than stock! Sold as a complete set of 16. These are a set of rod bearings for VW Audi 1.8t 20v engines. Please specify your engine code for a quick and correct order. They are OEM VW / Audi brand replacement bearings. These are OLD STYLE bearings which have a bearing TANG. For use in AEB engines or engines with Integrated Engineering connecting rods which require a bearing tang! When revving your 2.5L engine higher than stock, you run into the problem of rocker arms falling off, and breaking spring clips. This can cause severe damage to your engine. These Ferrea lifter shims will shorten the travel distance of the lifters, and prevent the risk of breaking the rocker arms and lifters. The install in simple, by just placing them below the hydraulic lifters. A must for 2.5L engines revving higher than stock! Sold as a complete set of 20.
these shims will raise the seat pressure which will prevent valve float. This kit includes both intake and exhaust shims ! These are a set of main bearings for VW Audi 1.8t 20v engines. Please specify your engine code for a quick and correct order. They are OE VW / Audi replacement bearings. This is a set of rod bearings for VW / Audi LATE 1.8t 20v engines. These are replacement bearings with NO tang. These are for use in late 1.8T engines with stock 19mm rods. Please specify your engine code for a quick and correct order. They are OEM replacement bearings. This is for a full set of 4 Supertech exhaust valves! These are a great starting point for any 8 valve cylinder head build. High quality forged stainless valves are black nitrated for maximum hardness and smoothness. For the price, these are an excellent replacement for stock valves. These are +1MM oversized valves, machine work is required! This is for a set of 4 exhaust valves with 7MM stem! This is for a full set of 4 Supertech intake valves! This is for a set of 4 intake valves with 7MM stem! This is for a full set of 4 Supertech exhaust valves! These are +2MM valves, machine work is required! This is for a set of 4 exhaust valves with 7MM stem! This is for a full set of 4 Supertech intake valves! These are +2MM oversized valves, machine work is required! This is for a set of 4 intake valves with 7MM stem! These are a great starting point for any 8 valve cylinder head build. High quality forged stainless valves are black nitrated for maximum hardness and smoothness. For the price, these are an excellent replacement for stock valves. For the very highest performance builds, we can also supply these valves in +1mm or +2mm oversize for maximum flow (machine work required). These are a great starting point for any 12V VR6 cylinder head build. High quality forged stainless valves are black nitrated for maximum hardness and smoothness. For the price, these are an excellent replacement for stock valves. For the very highest performance builds, we can also supply these valves in +1.8MM oversize for maximum flow (machine work required). These valves are back cut for flow and black nitrided to reduce friction and increase durability. This is for a set of 6 Supertech exhaust valves. Options are available to suit your build. These are a great starting point for any 12V VR6 cylinder head build. High quality forged stainless valves are black nitrated for maximum hardness and smoothness. For the price, these are an excellent replacement for stock valves. This is an exhaust valve set for the very highest performance builds. These valves are +1.8MM oversize for maximum flow (machine work required). These valves are back cut for flow and black nitrided to reduce friction and increase durability. This is for a set of 6 Supertech +1.8MM oversize exhaust valves. These are a great starting point for any 12V VR6 cylinder head build. High quality forged stainless valves are black nitrated for maximum hardness and smoothness. For the price, these are an excellent replacement for stock valves. This is an intake valve set for the very highest performance builds. These valves are +2MM oversize for maximum flow (machine work required). These valves are back cut for flow and black nitrided to reduce friction and increase durability. This is for a set of 6 Supertech +2MM oversize intake valves. These are a great starting point for any 12V VR6 cylinder head build. High quality forged stainless valves are black nitrated for maximum hardness and smoothness. For the price, these are an excellent replacement for stock valves. For the very highest performance builds, we can also supply these valves in +2MM or +3MM oversize for maximum flow (machine work required). These valves are back cut for flow and black nitrided to reduce friction and increase durability. This is for a set of 6 Supertech intake valves. Options are available to suit your build. These are a great starting point for any 12V VR6 cylinder head build. High quality forged stainless valves are black nitrated for maximum hardness and smoothness. For the price, these are an excellent replacement for stock valves. This is an intake valve set for the very highest performance builds. These valves are +3MM oversize for maximum flow (machine work required). These valves are back cut for flow and black nitrided to reduce friction and increase durability. This is for a set of 6 Supertech +3MM oversize intake valves. This is a set of 6 Supertech long intake valves for your R32 3.2L 24V VR6. They are standard size and are undercut valves with black nitride coating. All 24V feature the single groove conversion with matching keepers for maximum valve retention and stability at high rpm.